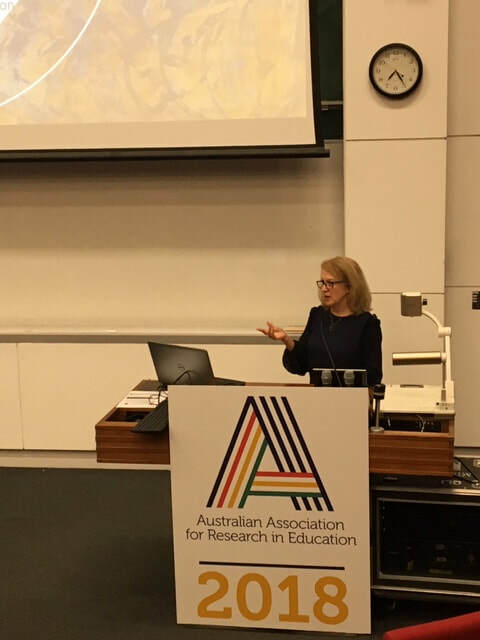 Cochran-Smith, M. "Reclaiming Teacher Education for the Democratic Project," Keynote address, AARE (Australian Association for Research in Education), University of Sydney, Australia, December 3, 2018. Cochran-Smith, M. "New Graduate Schools of Education: Unpacking a Controversial Innovation," Invited presentation, CADREI (Council of Academic Deans from Research Education Institutions), Tuscon, AZ, October 15, 2018. Cochran-Smith, M. "Teacher Education Reform: International Perspectives," Keynote address, Teacher Education and Educational Research in the Mediterranean Conference, Faculty of Education, University of Malta, June 8, 2018. Cochran-Smith, M. "International Teacher Education Reform: Where does Norway Fit?," Opening Plenary Address, NOKUT National Conference on Teacher Education, Oslo, Norway, May 28, 2018. Cochran-Smith, M. "Rethinking Accountability: A Democratic Alternative to the Dominant Paradigm," Keynote address, 2018 Teacher Education Policy in Europe (TEPE) Conference, Universidade do Minho, Braga, Portugal, May 17, 2018. Cochran-Smith, M. "Teacher Preparation at New Graduate Schools of Education: Knowledge, Practice and Pedagogy," Symposium for the New England Educational Research Organization (NEERO), Portsmouth, NH, May 3, 2018. Cochran-Smith, M. "New Teacher Educators, New Graduate Schools of Education: A Controversial US Innovation," Presenting Author, Teacher Educators as Education Reform Agents: Exploring New Possibilities Across Four Diverse Countries, AERA Annual Meeting, New York, NY, April 17, 2018. Cochran-Smith, M. "Teacher Preparation at New Graduate Schools of Education: Studying a Controversial Innovation," Chair, AERA Division K, Section 9 Session for Teacher Education Innovation, Policy and Research, AERA Annual Meeting, New York, NY, April 16, 2018. Cochran-Smith, M. "Teacher Policy, Public Education, and Democracy," Chair, AERA Presidential Session, AERA Annual Meeting, New York, NY, April 14, 2018. Cochran-Smith, M. "Your Classroom as a Laboratory: Teacher Research at School and Beyond," Keynote address, 10th Annual Teacher Forum, Brandeis University, March 4, 2018. Cochran-Smith, M. "Views from Teacher Education," Session Leader, Measuring a Meaningful Life at The Whole Child Conference, Boston College Lynch School of Education, Chestnut Hill, Massachusetts. November 15, 2017. Cochran-Smith, M. "Global Trends and Challenges Facing Teacher Education." Keynote address, "The International Dimension: Constructing 21st Century Norwegian Teacher Education," Faculty of Education and International Studies at Oslo and Akershus University College, Oslo, Norway, November 10, 2017. Cochran-Smith, M. "Democratic Accountability in Teacher Education: Now More Than Ever." Keynote address, National Association of Multicultural Education, Salt Lake City, UT, November 3, 2017. Cochran-Smith, M: "Reclaiming Accountability in Teacher Education: Why? Why Now?" Keynote address, Association of Teacher Education in Europe, Dubrovnik, Croatia, October 23, 2017. Cochran-Smith, M. "Teacher Education and Education Reform: The Policy Paradigm That Is Reshaping Teacher Preparation in the United States." Annual June Fox Lecture, Lesley University, Cambridge, MA, April 13, 2017. Cochran-Smith, M. "Practitioner Research: Local and Beyond." Invited presentation for University of Auckland Faculty and Teacher Partnership Group. Auckland, New Zealand, March 14, 2017. Cochran-Smith, M. "Global Trends and Challenges in Teacher Education" Keynote address for the NOKUT International Advisory Panel on Teacher Education in Norway, Oslo, Norway, February 14, 2017. Cochran-Smith, M. "Understanding Teacher Learning: The Power of Complex Research." The University of Haifa, Haifa, Israel, January 2017. Cochran-Smith, M. "The Policy Paradigm that is Reshaping Teacher Education." Distinguished lecture, Georgia State University School of Education, Atlanta, GA, September 6, 2016. Cochran-Smith, M. "Research and Teacher Education: Metaphors We Live By." Keynote Address for the Bringing Teacher Education Forward 2016 Conference, Oslo, Norway, June 6, 2016. Cochran-Smith, M. “Inquiry as Stance: Local and Beyond.” Invited Seminar for Faculty of Education, Queensland University of Technology, Brisbane, Queensland, Australia, March 8, 2016. Cochran-Smith, M. “Research on Teacher Preparation: Charting the Landscape of a Sprawling Field.” Invited Research Seminar for Faculty of Education, Monash University, Melbourne, Australia, March 4, 2016. Cochran-Smith, M. “Ed Reform and Teacher Education: The Policy Paradigm that is Redefining Teacher Education in the U.S.” Keynote Address for the Pennsylvania Association of Colleges of Teacher Education, Harrisburg, PA, October 28, 2015. Cochran-Smith, M. "Teacher Education Policy and Teacher Quality: The U.S. Case." Symposium at the European Conference on Education Research (annual meeting of the European Educational Research Association). Budapest, Hungary, September 11, 2015. Cochran-Smith, M. "Research on Teacher Preparation: Mapping the Territory." Keynote Address for ORD Annual Conference on Education Research (Netherlands/Belgium), Leiden, The Netherlands, June, 2015. Cochran-Smith, M. "Teacher Education Policy and Practice. Invited seminar for ICLON, Leiden University Graduate School of Teaching." Leiden University, The Netherlands, June, 2015. Cochran-Smith, M. "Education Reform and Teacher Education." Invited Lecture for the Faculty of Education," University of Auckland, Auckland, New Zealand, June 2, 2015. Cochran-Smith, M. "Ed Reform and Teacher Education: The Policy Paradigm that is Reforming (Deforming?) Teacher Preparation in the U.S." Teachers College Sachs Lecture Series, Teachers College, Columbia University, New York, March 3, 2015. Cochran-Smith, M. " Teacher Education for Urban Schools: A Perspective from Research." Keynote address for Virginia Commonwealth University SOE Annual Research Colloquium, Richmond, Virginia, January 26, 2015. Cochran-Smith, M. “Ed Reform and Teacher Education: Building Better Track or Trying to Stop the Train?” Keynote address for the Teacher Education Division of the Council for Exceptional Children Annual Conference, Indianapolis, Indiana, November 7, 2014. Cochran-Smith, M. “Education for Social Justice and Democracy: Framing the Issues.” The Bjorn Christiansen Memorial Lecture, University of Bergen, Bergen, Norway October 23, 2014. Cochran-Smith, M. “Teacher Education Research: Surveying the Landscape.” Keynote address for the Bergen University National Conference on Teacher Education. University of Bergen, Bergen, Norway, October 23, 2014. Cochran-Smith, M. “Teacher Preparation Research: Past, Present and Future.” Keynote address for the European Conference on Education Research (ECER), the Annual Meeting of the European Educational Research Association, Porto, Portugal, September 3, 2014. Cochran-Smith, M. “Inquiry as Stance: Local and Beyond.” Keynote address for Moray House School of Education Conference, Practitioner Enquiry: Into the Light, University of Edinburgh, Edinburgh, Scotland, August 29, 2014. Cochran-Smith, M. “Practitioner research in challenging times,” “Trends and challenges in initial teacher education,” “Research on initial teacher education: Charting the landscape of a sprawling field,” and “Living a research life.” Invited lecture series on teacher education research, practice and policy. University of Linkoping, Linkoping, Sweden, June 9-12, 2014. Cochran-Smith, M. & Lytle, S.L. “Practitioner inquiry: For what? So what? Now what?” Keynote address for the Annual Conference of the Action Research Network of the Americas, Moravian College, Bethlehem, PA, May 23, 2014. Cochran-Smith, M. “Learning to teach over time: Two teachers, two paths.” Keynote address for the IV International Congress on Beginning Teachers. Curitiba, Brazil, February 20, 2014. Cochran-Smith, M. “Ed Reform’s Alphabet Soup: The Metaphors We Live By in Teacher Education. 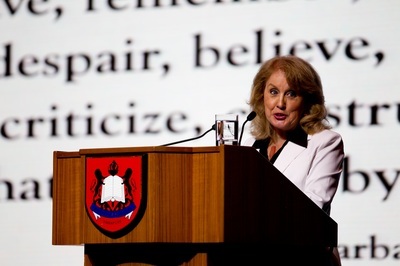 Keynote address for the Annual Conference of the Association of Teacher Educators. St. Louis, Missouri. February 14, 2014. Cochran-Smith, M. “The New Landscape of Teacher Education: Trends and Challenges.” Keynote address at the Status of Teacher Preparation: A Call to Action in Michigan.” Eastern Michigan University, November 1, 2013. Cochran-Smith, M. “Teacher Education, Evidence and Inquiry: Metaphors We Live By.” Keynote address for Society for Educational Studies Seminar Series. University of Roehampton School of Education, London, October 17, 2013. Cochran-Smith, M. “Preparing Educators: Learning to Teach for Social Justice.” Keynote address for 9th Annual Leadership for Educational Justice Summer Institute. 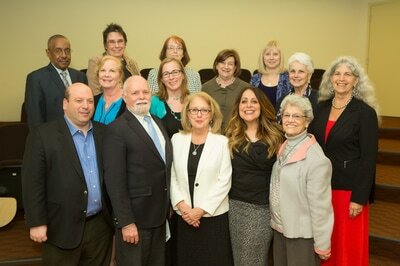 School of Education, University of Redlands, July 9, 2013. Cochran-Smith, M. “Culturally Relevant Teaching: What’s Justice Got To Do with It?” Keynote address for Canisius College JUSTICE Project, June 12, 2013. Cochran-Smith, M. “Teacher Education in the U.S.: What’s the Big Picture?.” Keynote address at Seoul National University of Education International Conference, Teacher Education in a Global Era: Issues and Solutions, May 29, 2013. Cochran-Smith, M. “Preparing teachers for diversity and social justice.” Invited Presentation. Ewha Womans University, Seoul Korea, May 30, 2013. Cochran-Smith, M. “Teacher Education at a Crossroads.” John Wozniak Lecturer, Loyola University, Chicago, Illinois, February 21, 2013. Cochran-Smith, M. Teacher Quality, Teacher Education and Outcomes.” Invited Presentation for University of Auckland Faculty, Auckland, New Zealand, February 13, 2013.